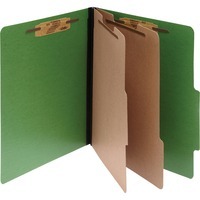 Color Life Presstex Top Tab Folders with fasteners feature a reinforced expandable Tyvek gusset. Made of durable acrylic coated 15 point cover stock. Six part file has two center leaves.